At Silverline Towing, we provide the best overall towing solutions at prices you can afford. We are long distance towing experts and we work all around the East Bay area. We and a network of independent tow truck operators provide premium towing solutions. Our roadside specialists will make sure that your vehicle arrives on time. We are very strict about punctuality and you can expect a fast response time for all roadside emergencies. 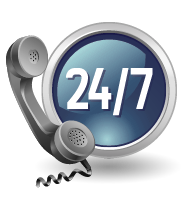 We’re also available 24/7, so you can reach us anytime. Are you relocating to another part of town? Let us assist with all your towing requirements. We have a wonderful team of towing professionals that have years of experience in the field. We also work under the safest towing conditions, which ensures that your vehicle receives the best level of care throughout the long journey. You can have peace of mind knowing that your vehicle is in the safest care and provision with Silverline Towing. We believe that each customer deserves the best quality services at affordable rates. You don’t have to take a chance playing the guessing game when it comes to pricing anymore. We offer a wide variety of towing and roadside assistance services with the most valued reputation in the business. We really go the extra mile to provide customer satisfaction. We’ll calculate the distance and services to give you a very fair quote by phone. Our friendly customer care representatives will assist with the entire process. Booking a long distance towing trip has never been this simple before! We will help choose a day and time that works for you. We’ve established our name through years of hard work and dedication to what we do. Our customers continue to spread the good word about us as well. We’re the most trustworthy roadside provider in the East Bay. You can get a hold of us 24/7 for any emergency roadside situation, so please don’t hesitate. Let the pros of Silverline Towing give you a memorable and enjoyable towing experience. Contact us today to schedule an towing appointment.